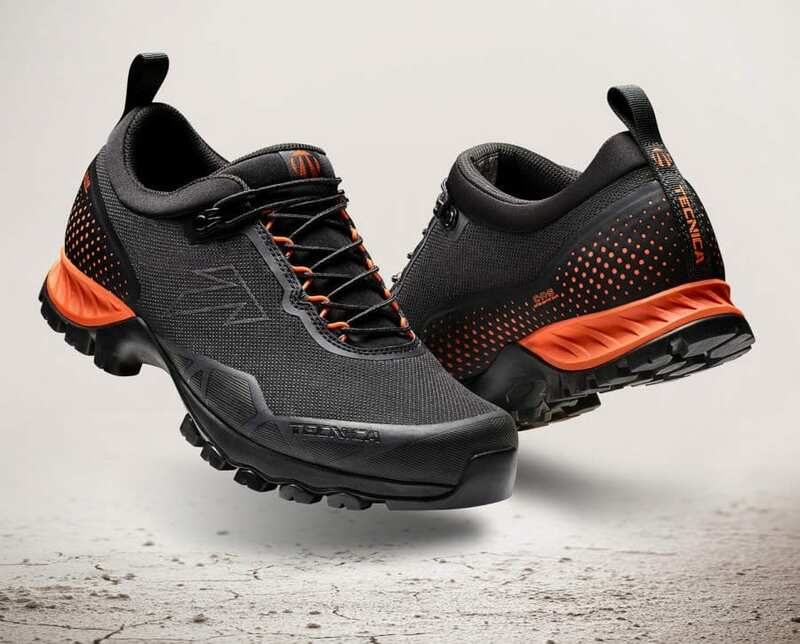 Following the success of the award winning FORGE, the first customizable trekking boot, Tecnica is introducing the Plasma for 2019, the first customizable low-cut hiking shoe. Following the same process, using the C.A.S. 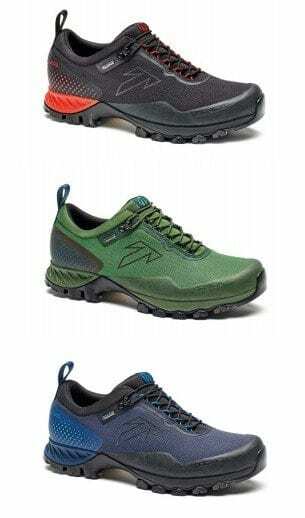 machine, everyone can have their own custom-fit shoe. You can now expect a level of comfort, precision and performance that meets your individual needs. In only 20 minutes, one can experience an in-store customization process that results in a personalized and unique fit– a fit SHAPED FOR YOU. No more shoes that are too tight or too roomy. No more heel pressure or not enough heel hold. No more need to buy expensive after-market footbeds. No break-in time; the fit is perfect from the very first step. Benefitting from the evolution of the FORGE anatomical last, the PLASMA features the same great out-of-the box fit with a full, anatomic arch and heel shape. The last is designed to accommodate the C.A.S. customizable footbed and an anatomic “second skin” fit. Anatomically supportive arch and consequently, anatomically supportive footbed. Anatomically shaped heel offers secure heel-hold and wrapping. The first high-end, customizable footbed built specifically to match the unique last of Tecnica shoes. All the benefits of a customized arch support without the disadvantages (trimming and changing the foot positioning) of expensive aftermarket solutions. Fully customizable arch and heel cup for natural support and foot-hold. Shaped on the individual’s anatomy. 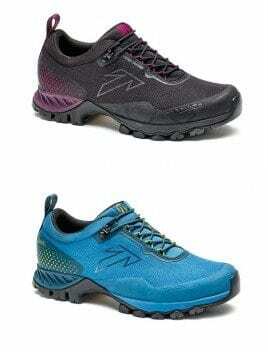 Customizable EVA layer on the forefoot and heel shock areas offers comfort and cushioning. The first heat-customizable low-cut shoe in the industry. Tailor-made around each foot for perfect comfort, support, foot-hold and zero break-in period. Customizable heel pocket for secure foot-hold and comfort. 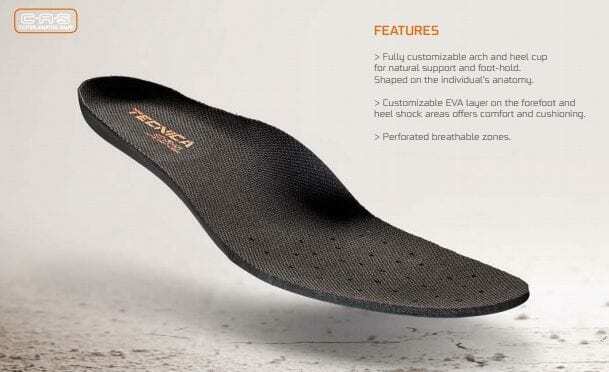 Customizable arch matches the customizable footbed and the foot shape for personalized arch support. 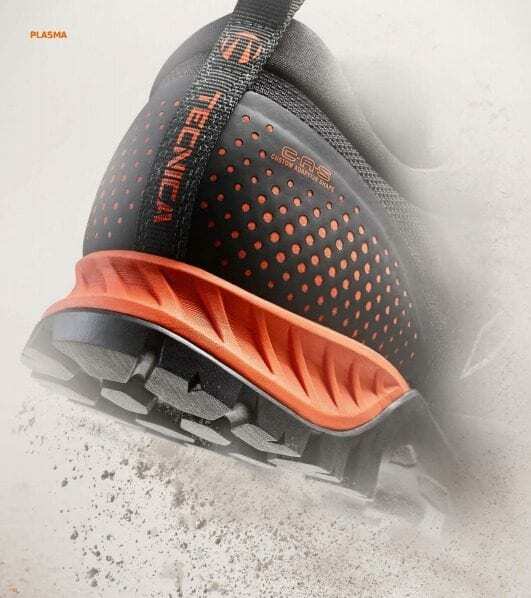 Inspired from ski boot design, Tecnica created a new, unique construction that allows them to attain the maximum comfort and performance from their anatomical last and customization features. Offers a more anatomical, out-of-the box fit and reduces pressure points typical of standard gusset tongue construction. The new, anatomical overlap design perfectly matches the anatomic last. Elastic fabric and Gore-Tex® lining on the collar area allows easy step-in. They designed an innovative lacing solution that matches the anatomic fit. High tenacity Kevlar® loops are used instead of the classic metal hooks. When combined with the uniquely textured laces, consistent tension is maintained throughout the day. No lace loosening while walking. No lateral exposure eliminates breaking laces. Unique, even foot wrapping alleviates pressure points. Maximum emphasis has been placed on building one of the most flexible, yet supportive, low-cut shoes on the market. And a custom designed outsole offers great traction, agility and a high level of support. 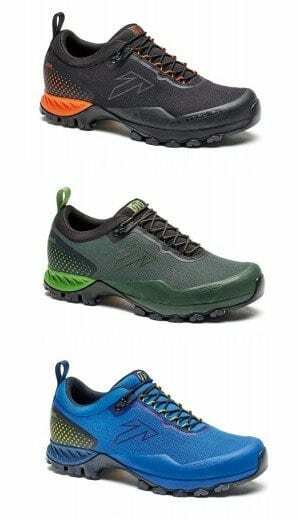 Strobel upper construction with externally lasted EVA midsole for maximum cushioning and comfort. Dual density EVA midsole with TPU shank offers cushioning, comfort and arch support. De-structured upper design results in comfort and flexibility with a high level of support due to the C.A.S. upper and footbed. 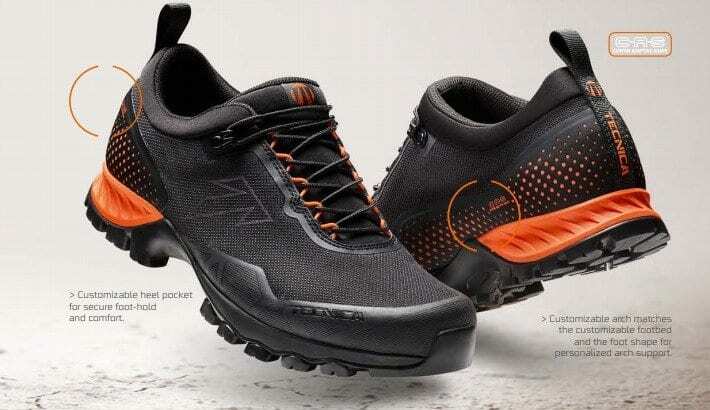 Trail running inspired forefoot design for a high level of traction on muddy or rolling terrain. Block-shaped lugs in the perimeter and heel for great stability. 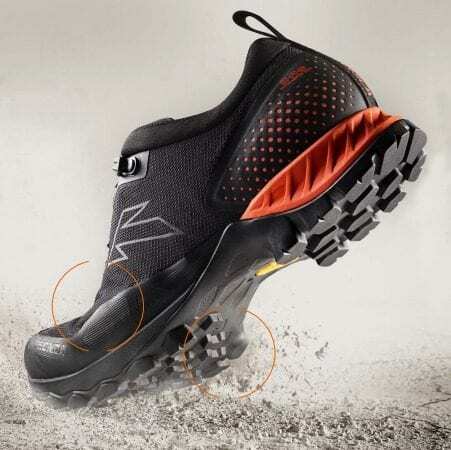 Climbing zone and Vibram® Megagrip compound optimal for light scrambling and Via Ferrata. Grippy on wet and slippery terrain. Premium upper materials offer water repellency and durability. Gore-tex® liners provide the ultimate combination of waterproofness and breathability. Highly abrasion resistant Polyester fabric with TPU reinforcement is durable, light and water repellent. Full rubber toe rand offers durability and grip while scrambling. 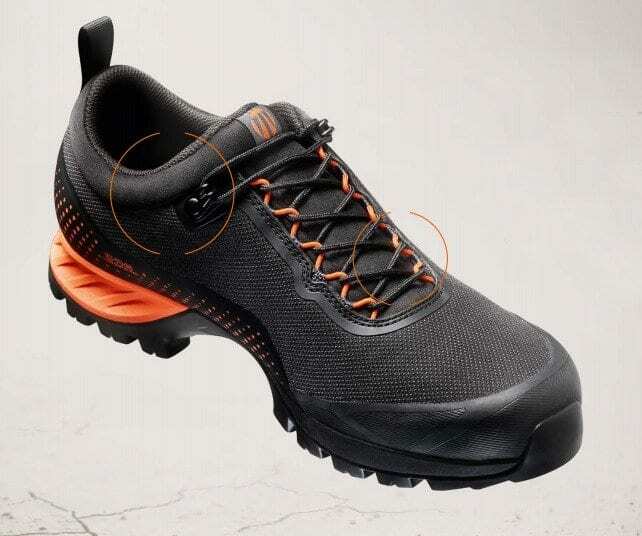 Gore-Tex® extended comfort lining is waterproof and breathable. 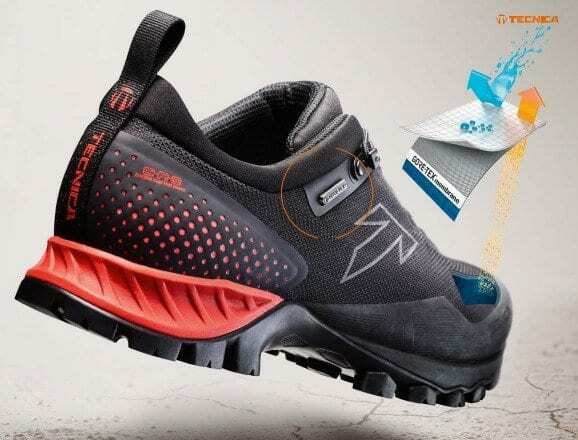 The Tecnica Plasma is the perfect shoe for modern hikers. 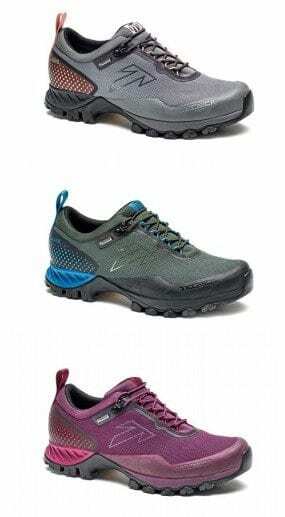 They are lightweight, flexible, agile and ultra comfortable, while offering amazing traction and support, even on the most technical trails. 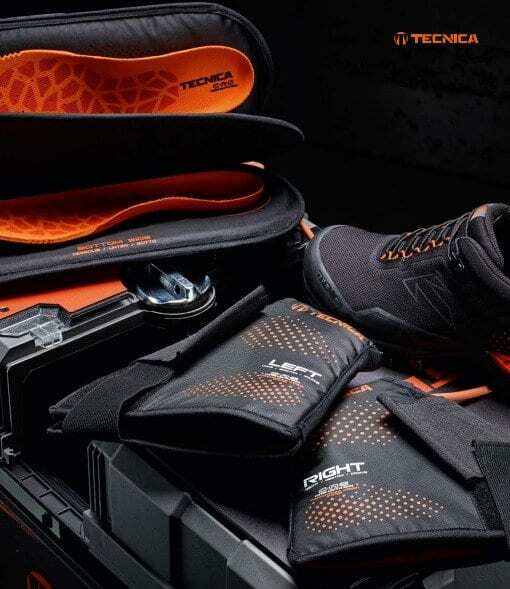 Designed for those who prefer mobility over ankle support and want to move faster with lightweight packs for long distances. The Plasma will be available in 2 men’s and 2 women’s styles with multiple color options.